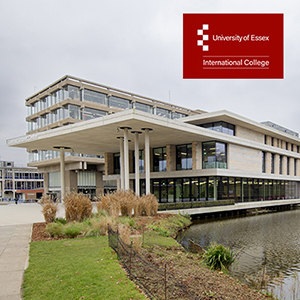 Full marks for the xcite lighting system upgrade at the new University of Essex International College. The International College offers degree preparation courses for international students to allow them to progress on to study at undergraduate and postgraduate level at the university. 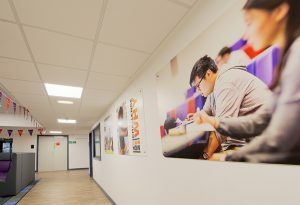 Operated by Kaplan International Pathways, the College, located in the Constable Building in the Colchester Campus, has students representing over 30 nationalities, and gives them a taste of University life before they begin their bachelor or masters course. The Constable Building had previously been used as offices and training facilities, and underwent a major lighting upgrade to replace the old fluorescent fittings with xcite LED luminaires. As part of a target to lower energy consumption and reduce maintenance costs, the University was keen to make the switch to LED lighting. 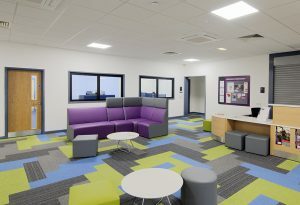 With a combination of quality, energy efficient lighting at a competitive price, xcite luminaires were the ideal choice for the project. 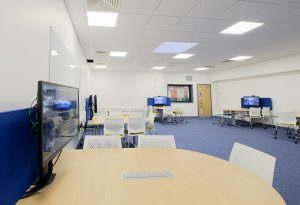 In the building entrance, computer rooms and communal areas, xcite Panels were installed. These have an efficacy of up to 100 lm/W, providing significant energy savings, and sensors were installed throughout the site, further reducing energy consumption beyond the initial switch to LED. These Panels were also installed in several other buildings across the campus. 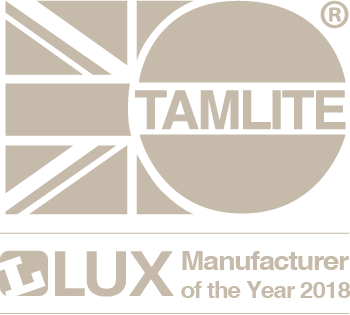 Also supplied were xcite Emergency Packs, designed to provide 3 hours illumination for recessed modules such as the xcite Panel, in case of a loss of mains power to ensure that occupants can vacate the building quickly and safely.